April 15, 2013 is a day that will live in infamy for Bostonians and runners the world over. On this day, three people lost their lives and 264 others were injured at the finish line of the world’s oldest marathon. Days later, an MIT police officer by the name of Sean A. Collier was shot and killed in the line of duty as the bombers tried to steal his gun. Nearly a year later, Dennis Simmonds, a Boston Police Department officer died of complications from an ensuing firefight with the terrorists. These cowardly acts continue to have an affect on the Boston community, and on the other side of it, the chant of “Boston Strong” made it to the lexicon as a symbol of resilience, strength, pride and inspiration in the face of adversity. 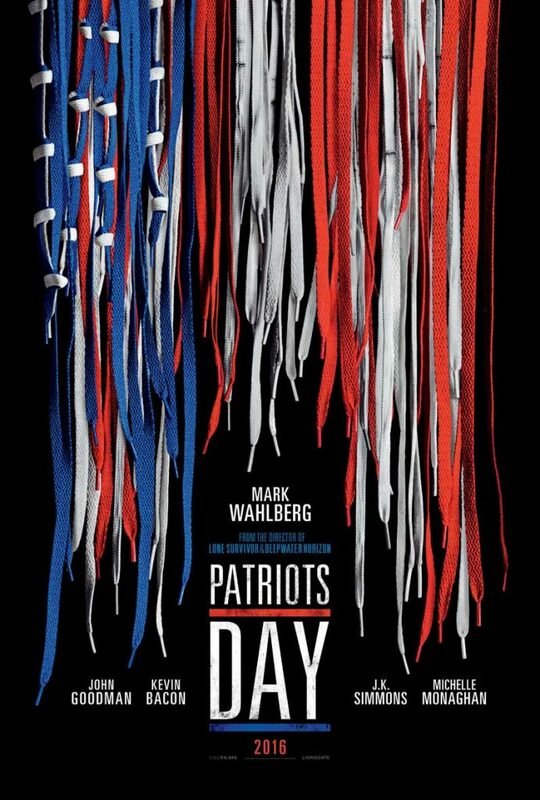 Director Peter Berg’s Patriot’s Day captures the city’s reaction to the bombing that spurred an unprecedented ‘shelter-in-place’ declaration as the murderers made more sinister plans and plotted their way to New York City for more destruction.